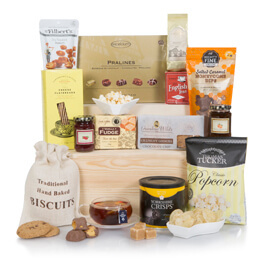 See more bestselling hampers available from hamper.com. 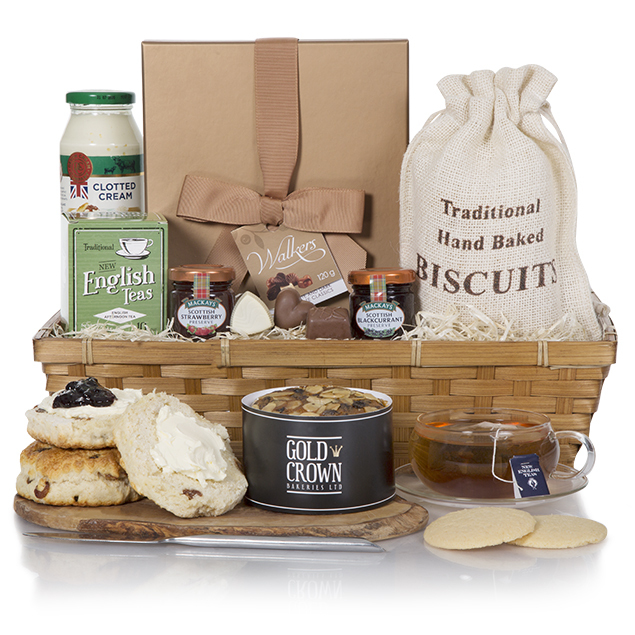 The Luxury Cream Tea Gift Hamper makes the perfect gift for him or her ideal for any occasion! Beautiful tray laden with giant scones, clotted cream, preserves, tea, cake & praline chocolates. 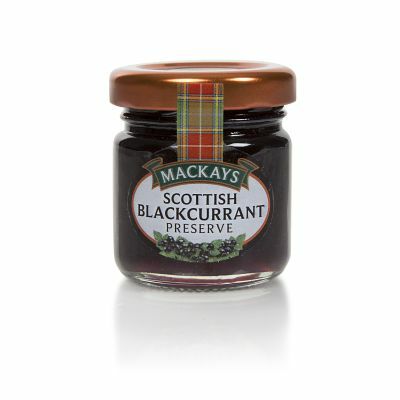 *Includes fresh scones and should be consumed with 48hrs of delivery. 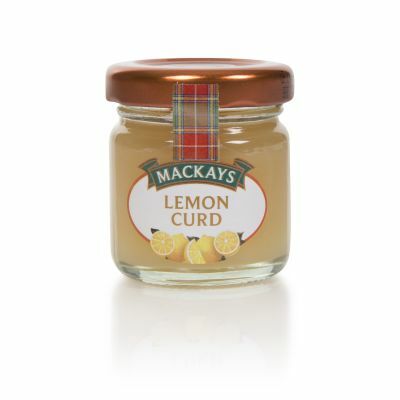 Mackays Lemon Curd 42g A creamy Scottish curd, made with eggs and butter. 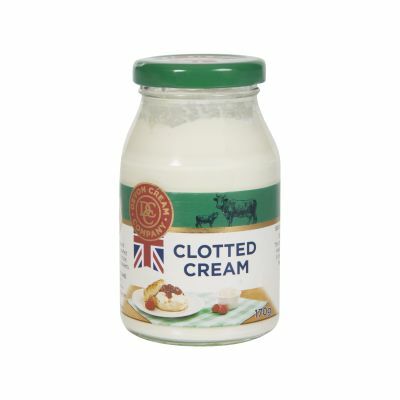 Wonderful when spread over hot toast. 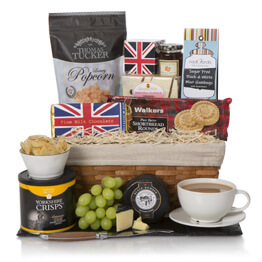 Looking for an online gift for my mother, I happened upon the cream tea hamper. Great contents for the price AND free delivery right to my mother's door! I was delighted with the all round service and mom was delighted with the hamper. Win-win!! I bought this for my mum on Mother's Day, she loved it! so did my dad. The scones very very fresh and quite large and the clotted cream was tasty. The whole package was a great treat and thoroughly enjoyed. Great Mother’s Day gift. She loved it! Three flavoured luxury jams, lovely cream and fresh scones that were generously sized made my mums Mother’s Day a treat. Something different from flowers or chocolates she thoroughly enjoyed breakfast in bed. Brought as a Mothers Day gift and everything that was in the hamper they loved, excellent. The hamper goodies were presented well in a basket and regardless of transporting/delivery the products stayed securely in place. The quality of the products is good. 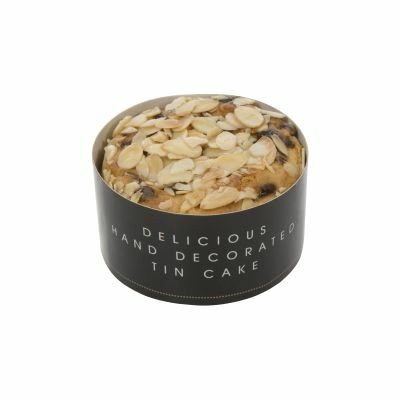 There’s a great selection of items to create Afternoon Tea in you own home! Bought for Mother's Day. She loved it and said the items were fresh and of excellent quality. Bought as a present and was thouroughly enjoyed.every part of it.excellant value.highly recommend. This was purchased as a surprise for my lovely husband to cheer him up. The quality of the products is superb, as tea fans we were particularly impressed with the New English Afternoon Tea - so much so that I went on line to purchase some more! My Aunt absolutely loved her hamper and thoroughly enjoyed the scones, jam and clotted cream. She said the scones were very fresh and tasted lovely. Thanks for making her day. This gift I gave to a friend for her birthday and she was very happy with it. Excellent service and excellent product. It was bought for a birthday surprise for an elderly relative who doesn't have a large appetite. She loved it, said it was like winning the lucky dip over and over with all the nice goodies in the hamper. She enjoyed the cream tea with a friend and said how fresh and delicious it all was. The rest of the hamper she was looking forward to tucking in at her own slow small pace. One very happy customer. My sister was thrilled her Cream Tea Hamper. I won’t hesitate to gift this hamper again. Lovely! Everything was fresh and well presented. Tasted good too. 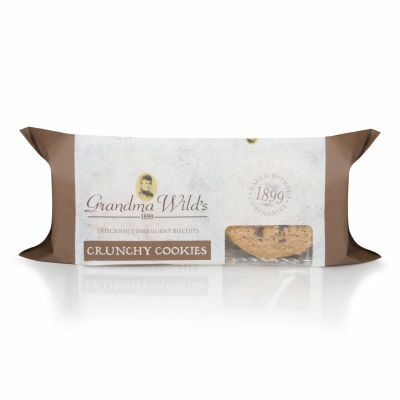 Would use Hampers again as this was our first experience of their products and we were very pleased. Daughter who bought this for us says extremely easy to order and was pleased with delivery, which was 2 days after ordering. Good service. My friend was absolutely delighted with her Luxury Cream Tea Hamper! It was so easy to order from my home to her home and I was kept informed all the way! My elderly mother was thrilled with her Luxury Cream Tea Hamper. She was very inpressed with the presentation . Precautions were taken to ensure that the cream remind chilled dispite the exceptionally hot weather,Scones were delicious . THe hamper was for my 90 year old mum for Mothers day. 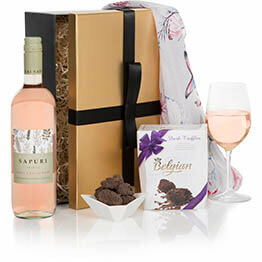 Living in America its difficult to share stuff with her but Hampers work a trea.tThis is the third one i have sent her and she is chuffed to bits when she receives them.Never had a problem.Would recommend this service to everyone. My friends enjoyed their afternoon tea. Food was as pictured. Sent to friends and they said everything was delicious. Will use this company again. Bought the Luxury Cream Tea hamper for my mum for Mothers Day. The hamper arrived on the date requested. My mum was overwhelmed by the gift. 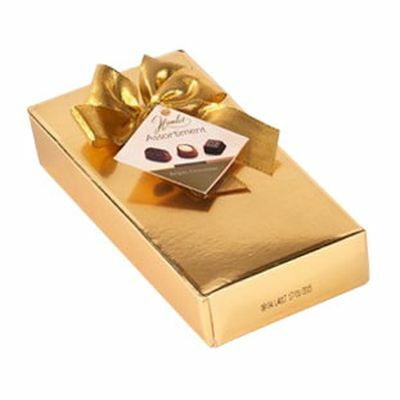 The selection of goodies were well presented and look to be of good quality. My mum is over the moon with the gift and is now just setting a date to have some friends round to share it with. Thank you Hampers. com I shall definitely be using you again and I will be recommending you to family and friends. We bought as a mothers day gift, delivered on the day we requested and my Mum really enjoyed all the contents, all very fresh & tasty, will definately buy from here again. Sent to my mum for mothers day and she loved it. Brilliant! Bought this as a Valentine’s Day gift for my wife who loves cream teas. Everything in the hamper was really high quality, the scones were nice and fresh and went down a treat! Highly recommended. My grandparents loved this gift. The only trouble I had es that I had no idea when it was delivered. I wanted to call my grandpa after his gift arrived but the online tracking wasnt kept up to date. I had to keep ringing. Gift arrived at 2pm, but could arrive up to 7pm on day of delivery. It was sent as a gift so unseen by me but the recipients were very pleased with it. It arrived promptly. We bought this as a gift, didn't get to taste it but was told it was amazing, fast delivery, good service, would use again. I bought this hamper as a Christmas gift for my parents, they really enjoyed it and said it was lovely, the only downside was the hamper was not delivered on the requested date which I paid extra for so my parents waited in the whole day for a surprise parcel that never arrived! I had to call myself to find out when we could expect it as I was not informed. It was eventually delivered the following day. Had it of been delivered on the requested date I would have used again, such a shame! The recipient loved it very much. I ordered this for my mum's birthday and she was thrilled with it. She said the scones were huge and the fruit cake delicious and she couldn't believe all the goodies included. In all it made her birthday really special. I'll be ordering the same for my mother in law! it arrived as requested, our friends thought it was lovely. The ordering process was very straightforward and the hamper was delivered within the time promised. On checking with the recipients, they were delighted with the quality. I was impressed with the efficient service provided and with the quality of the goods which were truly appreciated. I have ordered the luxury cream tea hamper a couple of times and it was thoroughly enjoyed by the recipients! 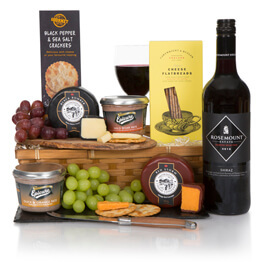 Definitely a hamper I will continue to order in the future! Again a lovely hamper delivered on time. Made my Mums mothers day a special day. 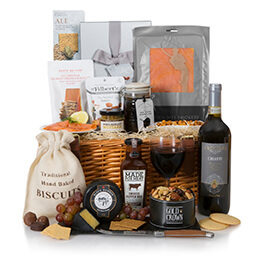 I think this is my tenth hamper and never been disappointed. A lovely hamper which was greatly appreciated by the recipients. I sent this to my sister, who really enjoys a cream tea, and she said it was the best she'd had! Everything was deliciously fresh and she's asked if I can send it again next year!! :) Thank you Hamper.com for making my sister's day so special. A good value, beautiful afternoon tea presentation, well received by my Mum on Mother's Day. I even managed to secretly organise for her 2 grandchildren and their Mum to join her for afternoon tea and share the treat. Many thanks. The person it was delivered to was sick/poorly it brightened her day up no end... Thank you, we will be back. Never have I heard anything but praise for the quality of the items in the cream tea gift hamper! It doesn't matter if it is received by the young or elderly....male or female....EVERYONE says how much they enjoyed it! It is such a meaningful gift. Thank you. Can't tell as it was delivered in UK and I am in nz. 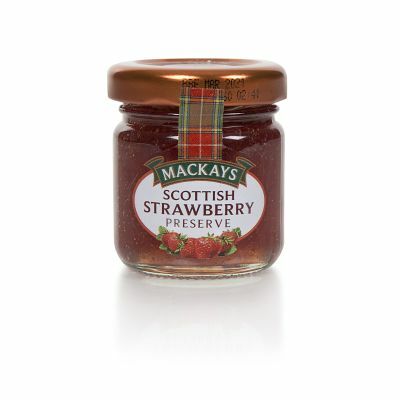 I have been sending "cream teas" hampers from this company for the last couple of years. I always receive praise from the recipient of the quality of the scones and other items in the hamper....even when sent to Devon & Cornwall - the home of cream teas! This company provides a quick, dependable service. (Their birthday cakes are delicious and are also well received)! Thank you. Sent to Mum and Dad as a "missing you much" present. Got a phone call today with appreciation and compliments for the basket and stuff. This was a gift so I can't say I've seen the contents! However, it was very gratefully received, they loved the cake and scones and there seemed to be a lot in the hamper too. Just from the excited thank you's I would order a hamper from you again!! Thank you. Excellent company as far as ordering, tracking, delivery etc goes. Can't comment n product as I sent but as a gift. The gift was for my parent's Anniversay - They were delighted with the content, especially the scones! This arrived on time and my friend was delighted with it. Well presented and the contents were very tasty! The basket was well received! Will use again. Delivery right on time and much enjoyed by recipient . A lovely hamper...perfect for a birthday, as advertised. Excellent value for money...would definitely recommend Hamper.com. My mum thought it was lovely! Quick and easy to find what I'm looking for and there's always something within my budget. 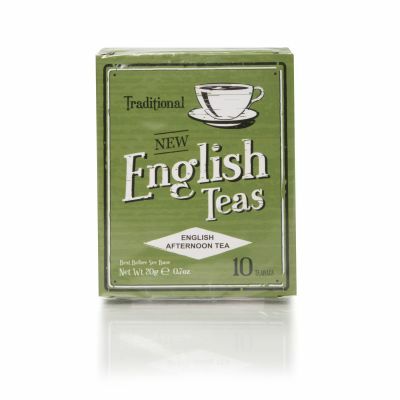 I live in the USA and always looking for new and interesting things to send my elderly Mum in the UK. She absolutely loved the cream tea package and enjoyed sharing it with my sister who also loved it. They said everything was delicious, I loved the value. 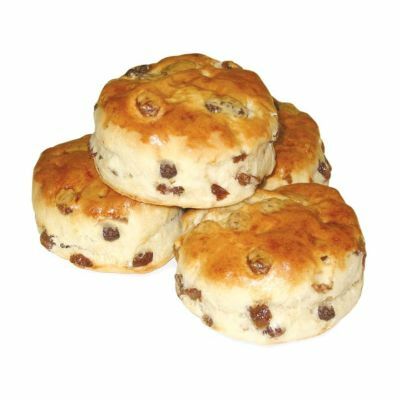 Good quality, irresitable scones, delivered on time and met all expectaons. Would recommended to others who want to know that what they send to another will be a pleasing suprise. My Mother-in-law was very pleased with her hamper. It was beautifully presented and the items were fresh. I would definitely order from them again! Lovely hamper good quality came with a nice tray . And arrived on time . My Mum was delighted to receive the cream tea deluxe hamper. She enjoyed the scrumptious goodies it contained, especially the scones. Great hamper and the person receiving it was so please with the contents. Arrived very timely.